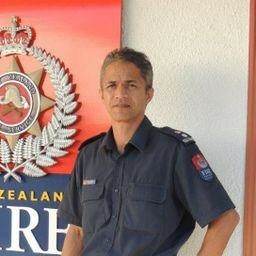 Northland Fire Brigades need your help and as little as one hour a week could be a huge help. Volunteers are the backbone of the Northland fire service, but in the Far North we are experiencing significant volunteer shortages that will impact our ability to respond to callouts. This is a serious matter for our community and we need your support to change this. Low volunteer numbers mean local brigades are struggling to respond to emergencies. If we cannot safely respond to an emergency, a brigade further away will have to respond on our behalf. A slower response time means your home, business, and even your life, are at a greater risk in an emergency. We need at least four people on a truck to respond to a call out – a driver, an officer and two firefighters. We currently struggle to safely fully crew a fire truck and this is increasingly difficult during the day. If our volunteer numbers get any smaller, we risk losing our local brigade. We want our communities to remain safe, but we need your help to achieve this. The solution is simple – we need more volunteers. The first step is the willingness to get involved with your local brigade. Age, gender, and fitness are no barrier to being a volunteer. If you are prepared to step forward and support your community, my team will help you to find a suitable role – be it fighting fires or providing administration support at the station. • and a family-orientated environment, with social evenings. If you’re interested in becoming a volunteer, but have concerns about how this might impact your job, we can discuss the responsibilities and benefits with you and your employer. More volunteers mean we can reduce the workload for all volunteers, and still keep our community safe. Every person who steps forward can make a difference. I urge you to call my team to discuss how you can be involved. Even if you cannot volunteer yourself, you might know someone who is up for the challenge. Our volunteers are there for you in your time of need. Now is your chance to be there for us.